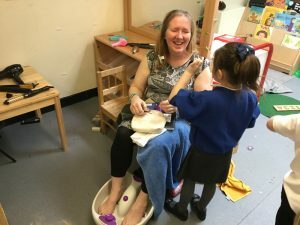 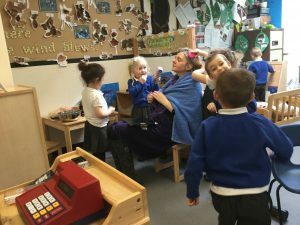 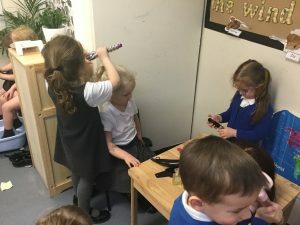 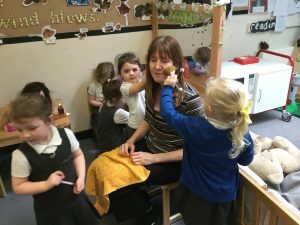 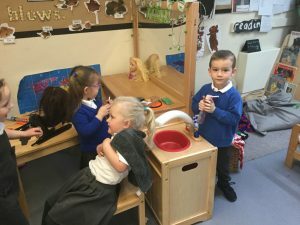 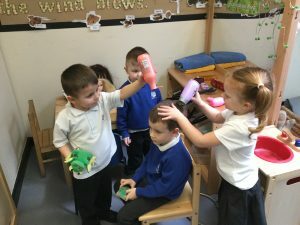 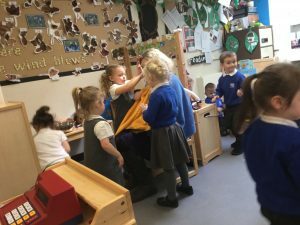 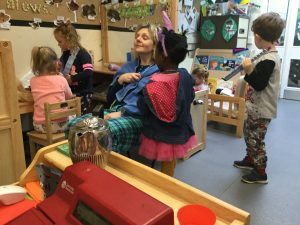 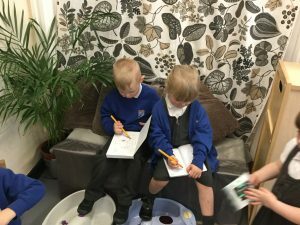 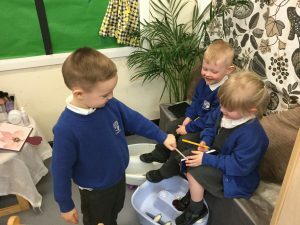 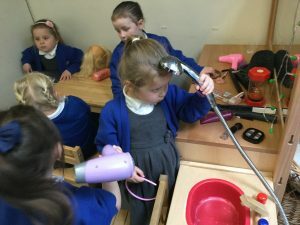 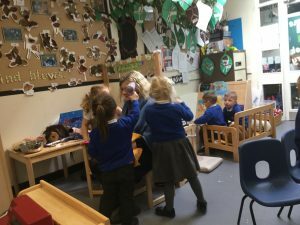 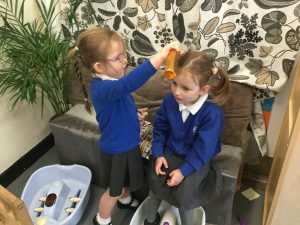 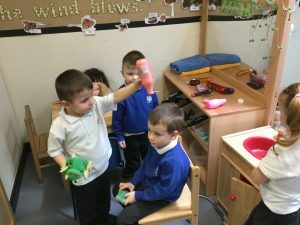 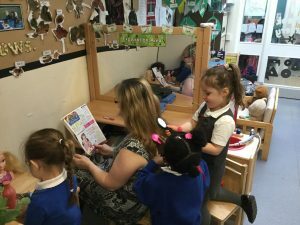 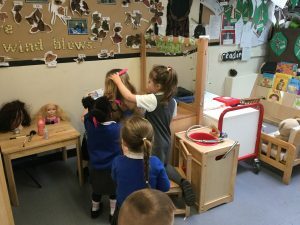 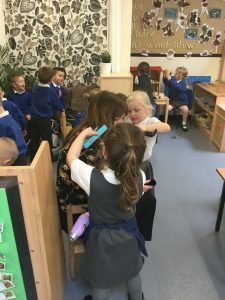 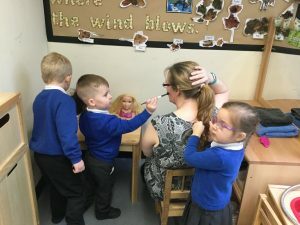 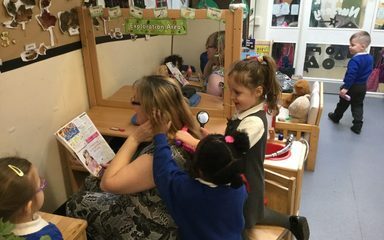 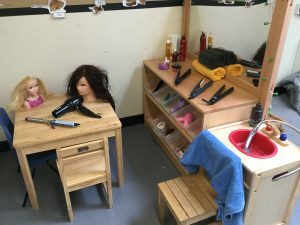 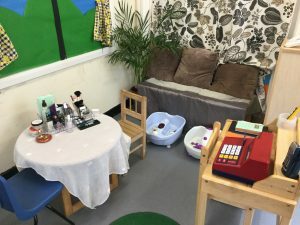 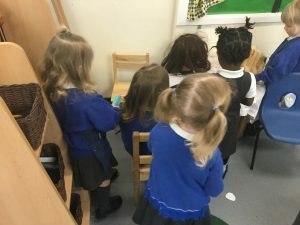 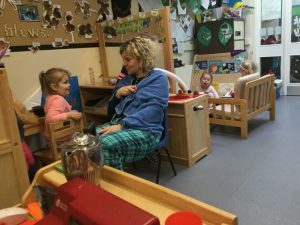 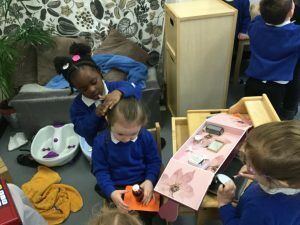 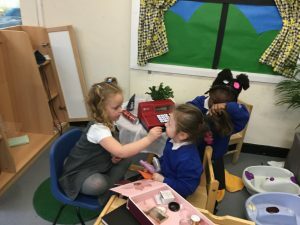 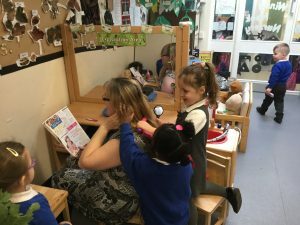 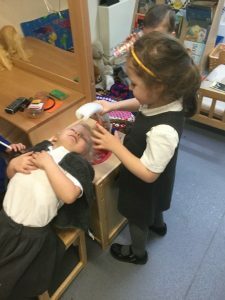 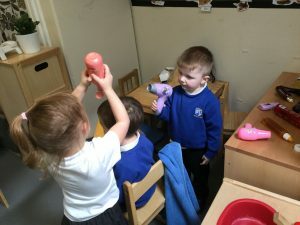 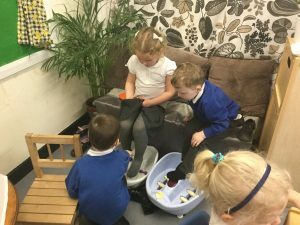 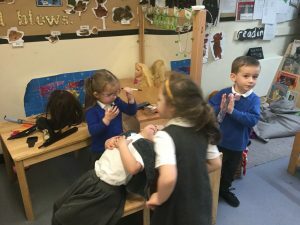 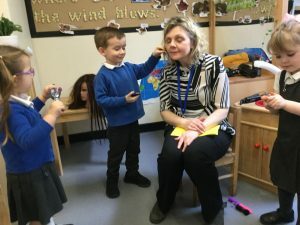 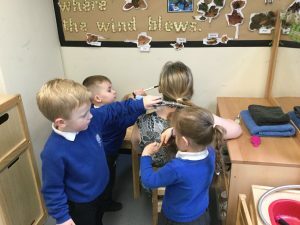 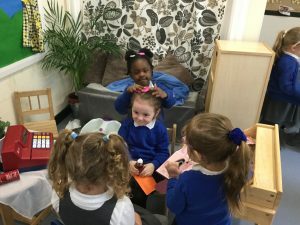 A few weeks ago we made our role play area into a beauty and hair salon due to the children’s interest. 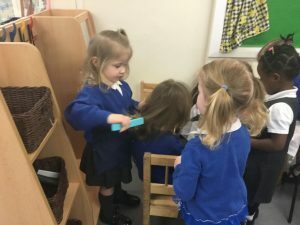 It has been extremely popular! 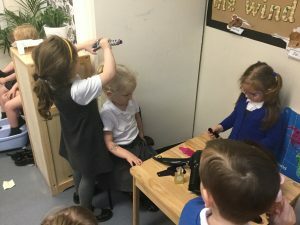 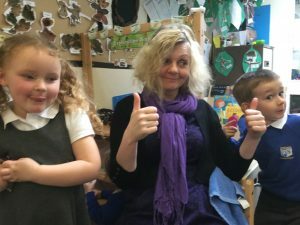 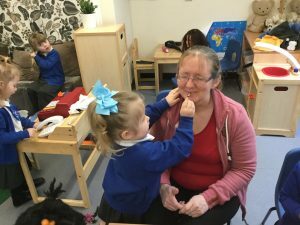 Here are a selection of photographs from some of our future beauticians and stylists!